You think that you want to do something, to have something. Why do you think this? Because you have a fixed opinion of who you are. And so it goes — your life is what it is because you think the way you do — imagining yourself to be a certain person, then living the life appropriate to that person. But if you change this idea of yourself, your life must change accordingly. It really is that simple. However — you cannot change your idea of yourself against your deepest belief in what is true. You may try, but the sincere, honest belief will always win. So you remain as you were, and your life goes on the same. The trick is to understand that you must really and truly acquire a new idea of yourself, one that strikes you as an "Aha!" discovery of the hidden truth about yourself that was there all along. And this true discovery of your truer self can only be done by a deep honesty that does not want to fool itself, but really wants to know the truth. My name is Robert. I offer a counseling psychology based upon a lifelong study of astrology, coupled with studies in philosophy, science, religion, and literature. I see each person as a variation of the one living soul who is a distant reflection of God, and within my limited understanding of this vast subject, I try to share the insights that I see. I began my experimental study of astrology in 1970, and I began talking professionally with people in 1973. In 1980, I graduated to a heliocentric perspective, and since that time I have seriously refined my art. After doing many thousands of readings over a span of four decades, I noticed that it had become a natural thing, an effortless ebb and flow like the tides, a simple communication that always went directly to the point. A reading is a brief, empowering communication between you and me. Its immediate purpose is to get you unstuck from your current dilemma, gladly on your way again. Its long-term purpose is to change your life in a permanently happier manner, which includes a greater respect for your real self and more solid control of your life — so that, next time you get stuck, you can get free all by yourself. I can only do for others what I already do for myself. In my own life, I have been naturally adept at getting free and staying free of compromising entanglements; so much so that, curious as to how I did it, I went back and made a careful study of the techniques of individuation psychology and spiritual self-realization. But none of these studies would have mattered much if I didn't already have the instinctual ability within. From your birthdata, I calculate your heliocentric chart of conception, a picture of the heavens at the moment when you were conceived — as if we were standing on the Sun and looking at the planets against the backdrop of the galaxy, and treating this actual picture as if it had real meaning. With simple faith that the same universe that gave you birth must also give you a plan for that birth, I use this macrocosmic picture to see into your self, and then we talk about what this means in the real terms of your life. I can just describe what I see, or we can have a lively conversation, with plenty of spontaneous questions and answers. Our telephone conversation can be recorded and emailed to you as an MP3 file. Or, if you prefer, we can forget the conversation, and I can send you a monologue reading on MP3, for your listening at leisure. Once you have done a reading, your chart and details will be on file, so you can easily have a followup reading whenever you wish. This can be telephone or monologue, detailed or brief. For initial questions about the reading, feel free to email or call at any time, without charge. Once you decide to order a reading, the fee is $2.50 per minute. A 30-minute reading is $75, a 60-minute reading is $150. For telephone readings — new clients can schedule and prepay online. Established clients can do the same or order by phone, as they wish, for a reading of any length. If you would rather not converse, but would prefer to hear the reading in privacy, I can send you a monologue MP3 about yourself within a few days of your online order. If you want to learn more about this astrological psychological method — how it derives from the mind itself thinking reasonably about itself while projecting its own self-orderings upon the celestial sphere and the outlying world — you might read the explanation below. In doing so, please consider that this path is inwardly a form of ideal self-remembrance, outwardly an imaginal form of determined self-definition and self-assertion that includes a psychic self-defensive technique similar to ju-jitsu — except that it is not immediately physical, but is instantly mental and only later becomes physical. The basic idea is that, to really find and be yourself, you first have to remember who you were before you got plastered with social conditioning. Then, once you know this and can keep this knowing steady and constant, you — like any other intelligent organic animal — have to be it and defend it against all of the contrary and erroneous ideas, ideologies, and half-baked half-beings that want to erase it and take you down to be one of them. No one is going to fight for your independence but yourself. This is the middle path, neither heaven nor hell, neither the highest spiritual ideal nor the lowest human degeneration. It begins right here and now, in this spirit-soul-body mix, and goes from there. Mythical history might call it, "The Lost Philosophy of Sparta." I call it, "the simple and obvious way in front of me." If you want the highest path, you choose Unity itself, realizing that — if God is, then God must be One, and the only one who can know aught of God must, in his own little way, also be one himself. Already identified with the one and only best, you enjoy the best in everything, naturally appreciating all the good you forever already have. 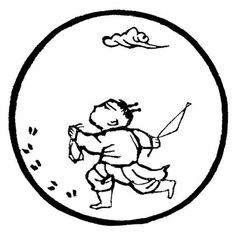 So you happily turn away from the God-denying world, relatively alone, and you spend much time meditating upon simplicity, virtue, and wisdom, gradually erasing and forgetting your limited ego while doing no harm to any sentient being. You love and favor the Unity while devaluing and forgetting duality. You let the one go back to One, and thus reunite with the Source itself. This is the path of the Good. If you want the lowest path, you deny beautiful Unity while imagining pure duality, perversely inventing opposition and war. Thus you achieve an ongoing, utter estrangement from your Source, from intelligence, and from yourself. In this lost ignorance, you mindlessly believe in your self-made, untrue ego while fearing and worshipping the arbitrary social conventions created by other egos like your own, forgetting all self-respect while you prance around for the audience, meanwhile behaving with complete senility — harming yourself, your environment, and your fellow man while giving nothing back to your Commonwealth, living unconsciously and anti-consciously as a lawless parasite. Such is the path of evil. But this middle path is for those who honestly recognize that they are simply in the middle — decent, law-abiding, sober and sincere — not yet fully good or wise, but desiring to become so — not evil either, and glad for that. It is for those who are searching for the good but still battling with the bad, for those who know that they do not know, and are thereby ready to learn. This path does for the identity what bodybuilding does for the body, what ju-jitsu does for the feeling of confidence and security. It is a way of shaping yourself correctly, of consciously becoming only your own true self-idea that avoids the moves and snares of the conventional and collective alien-ideas. And thus you become your own true self who freely moves and survives while the other alien identities fall to the mat by their own unreasonable ineptitude. To succeed in this method, you need to practice a lot, just as with any physical technique, because you need to establish your new insight as a permanent change, while you gradually repudiate and forget all former errors. But even a little bit of practice will bring immediate, happy results. It works slowly, but surely, and you have plenty of time to see the proof of what you are developing. "And so," you might ask, "why do I need this astrology, or this counseling, or you, Mr. Robert?" And of course, my simple answer is, "You don't." You don't need me, or my art, or anything in the whole wide world to accomplish your own self-realization. You only need your perfectly honest, sincere, self-respecting self actually noticing the infinite mystery in which you stand. Nevertheless, here I am, and here this art is, and I say it is certainly a very efficient light to anyone on this path — that is, to anyone on a similar wavelength with myself. Sometimes, it is a real help to find a friendly guide along the way. In the following explanations, I can only describe my own experience. When people say, "astrology," they generally mean a childish, primitive, unreasonable astrology as created and practiced by conventional, collective people — which, to an individual seeking individuation, is something worse than worthless. When I say, "astrology," I mean a science and art that I developed myself, by first looking up respectfully to the infinite starry sky, then by studying the ancient writings on the subject, and then by personally researching the art for over forty years. My research was childlike and natural, and I never had any desire to "be an astrologer." So my version of astrology is bound up with myself, and to explain how it works, I must tell you about my own way of discovery. This is not to toot my own horn, but simply to illuminate the fact that this art, like all true arts, is the living product of a living person, inseparable from that person. I come from a gentle place where souls are remembered. But this present world — this earth with all of its illusions — remains foreign to me, a puzzlement, a mystery. I was born in Hollywood, California, on 7 August 1946 at 12:36 am pst. I found myself alone in the midst of many, and thus turned away from society to pursue the development of my ideas. From chemistry to rocketry to physics, from poetry to romantic love to psychedelic experience, from astronomy to cosmology to astrology — each idea led to another, forcing me to abandon traditional views in favor of new discoveries. I have honestly developed a unique astrology for my own use. This I did, simply because I was interested in the subject. Somewhere along the way, this fascination of mine accidentally turned into a profession. That profession is what I now share with you. In doing this, I give you the benefit of my 46 years of research into this art, along with the knowledge gained from my other studies in literature, psychology, science, religion, and philosophy. In return, you give me my living. I trust that this will always be a fair trade. I use a science which no one else seems to remember. I speculate that this science was known to the ancients, who kept it quiet and hidden. I have researched this esoteric art for most of my life. In my youth, I began by studying the physical sciences, made my own chemistry laboratory, designed and built numerous rockets, high-voltage ion apparatuses and a one-MEV linear proton accelerator. I entered collegiate studies in nuclear physics, worked in high-energy physics at the Stanford Research Institute, then abandoned collective incentives and collective pursuits in favor of individual research. At the same time, I learned that all high perspectives had value. Although I began with the scientific paradigm of the research physicist, I then found equal meaning in the world view according to poetry, or according to psychedelic vision, or then again according to a trained self-conscious scrutiny of my own consciousness according to psychological and metaphysical models. I became fascinated with the idea of matter's seeming coexistence with consciousness as a mere phenomenon within consciousness, and studied astronomy, cosmology, and then astrology. 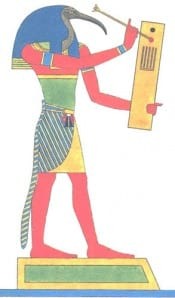 Extending my experimentation into conventional astrology correlated with history, I discovered that the science was necessarily open to improvement — that the ancient rules of astrology were largely corrupt, but that behind the corruption was a hint of hidden truths. And even though conventional astrology's sad state had attracted many lunatics and charlatans to profess themselves astrologers and to deepen astrology's poor reputation, nevertheless I saw that, at its root, true astrology was essentially a profound and comprehensive way of looking at a universe known to be divine. Continuously since 1970, I have taken an empirical approach to this science. I did not attempt to make the facts fit a preconceived theory, but rather searched for the theory that would fit the facts. I matched historical events against astrological pictures, then tabulated how true or false the correlations were. I wrote my own computer programs for planetary movement, and created a database of lives, meanings, and stars that all ran together in a complex dance. Then I tried various astronomical perspectives — looking at the planetary patterns from the standpoint of the earth, from that of the Sun, along various orbital planes, with variations according to planetary cycles. I experimented with many different zodiacs, until I was so familiar with celestial mechanics and historical meaning that I even dreamt about these things. I noticed that an outside observer, studying humanity from a vantage point in outer space, would see the obvious — that all human history evolved on a tiny planet orbiting around a relatively huge life-giving star. The star was great and all-providing, while the planet was minor and needy. I saw that man, himself, was a satellite of his planet, even as his planet was the satellite of the star. So the meaning of man, it would appear, must depend upon the meaning of his planet, even as the meaning of the planet must depend upon the meaning of the star. Yet, for man, it is man's mind that must define these meanings. 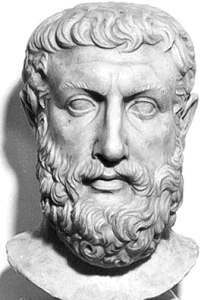 These reasonings led naturally to the study of philosophy, and eventually to the philosophy of Plato and Plotinus, wherein the hierarchy of meanings is coincident with the hierarchy of manifestation. I continued my research, balancing outer observations with inner philosophical growth. Then one day, it all clicked. I found the system that worked. No doubt, there is much more to be discovered by better researchers than I. But my system adequately described real character and destiny, foretelling future events with regularity, with a far higher degree of accuracy than I had ever achieved using conventional astrology. It is this new system of astrology which is the fundament of my readings. Every StarCenter reading is a soul reading. That is, it derives from a sincere, contemplative view of your deeper identity, and is intended to change your life in a happier, higher, more soulful direction. The reading derives from a careful analysis of your heliocentric chart of conception. It endeavors to help you, through a higher realization and understanding, to make peace right where you are — and then, from within that peace, to generate entirely new conditions that are even more perfectly peaceful and happy. In other words, the reading is a guided, enlightening self-contemplation that produces an immediate, mental self-transformation. This leads to a decisive change in focus that initiates a new, wise, creative action. And this, continued awhile, finally manifests the desired long-term results. The reading itself is presented in a direct, simple, straightforward language. If you wish to examine the types of available readings and their fees, you may go to the order page now. But if you are curious about the detailed background and spiritual genesis of the reading, please read the explanation below. Your life is a unique, one-of-a-kind expression of the One Life, one essence, or one universe, anciently and eternally called God. As such, your life is special, sacred, profound, amazing, and extremely interesting. To describe and analyze your life, therefore, a profound and lively consciousness is required. Think about this — if you are a high and special being, then only a high and special perspective can describe you accurately. If you are a mathematical genius, you cannot be understood by moneymakers. If you are an expert dancer, you cannot be accurately defined by a generic schoolteacher. If you have cultivated your mind to think beyond convention, then you will not be helped by those who must always look up to convention. The problem is that all socially-evolved perspectives are as limited as the society that gave them birth. Religions, mass media fads, psychologies, ideologies, sciences and pseudo-sciences — all of the collective mental meanderings simply go 'round and around within the circular whirlpool of their surrounding social matrix, ultimately accomplishing little more than the daily news — and in the process, leaving you still with a question mark above your head. Years ago, in my youth, as I studied the sciences, I realized all this. I saw that the majority of people never even learn how to think, but they merely repeat and continue some thought-pattern that someone else forced upon them. When I worked in high-energy physics at a government laboratory, I quickly lost my excessive respect for scientists, as I saw that these men were simply average people without any clue whatsoever as to who they were or as to what was really going on. Finding nothing definite in their painstaking investigations of energy and matter, many of them would retreat into equally-empty religious prayer meetings in their offices, mumbling mantras of empty faith to counterbalance their earlier unfounded assertions of scientific certainty, meanwhile growing old and allowing common conventions to determine their lives. Such is society, a closed, mind-ignoring mental system that is forever old and stale, spinning the same untrue tales again and again. But you, who are looking for something that works, something new and useful, have wandered here in search of the miraculous. And while I do not have any mind-bamboozling tricks to share, yet I have a simple and unforgettable knowledge of one true thing — that you, and I, and every sincere being looking for the truth are microcosmic agents of the divine, backed up by all of the wisdom and glory of the universe, ready to spring into action as soon as we acknowledge our ability and our power. Every birth that survives into true selfhood is a miracle, every mind that fully awakens, every man or woman who finds freedom and joy, everyone who becomes the individual in the creative center, all are miracles. And all are rare. This awakening into real being is the prerogative of the individual alone. And this individual is precisely the one who is not the social ego, the one who has realized that there is no true life within society. The true life begins when the soul awakens to its solitary presence and power, realizing that in its outer social life it has been acting like a drunk, dreaming and redreaming the continual dogma taught to it by the surrounding social forms, while forgetting and neglecting its own true self. But while we forget our truth and dance to the tune of someone else's game, we can never be fully alive, for our heart is not into the fakeries and forgeries of the crowd-following dance. So we languish in a tired, half-hearted attempt to go along with something that we truly do not want. And as we gradually realize all this, we also gradually find our old habits increasingly uncomfortable, exactly like the caterpillar toward the end of his stay in the cocoon. He begins to feel the excessive constriction, and instead he dreams of expansive flight and blessed freedom. And here is where the reading comes in. When you begin to awaken and search for your own individual way, you tend to connect with those who are helpful in your quest. Right now, at this moment, you have run into an unusual astrology and an unusual astrologer who are also on this path, helping you to communicate immediately about what is most important to you — a bit of road-map and help along the way from someone traveling in the same direction, who means what he says. This is a mature and serious thing, a shouldering of personal responsibility as you realize that you are fully on your own. Looking back at society and its unconscious hordes, you finally decide to essentially abandon that mess, leaving it to its ever-unchanging deception and war, competition and usury, pillaging and confusion. You realize that the only reason that you joined in the mess was because you had a little bit of that messiness in yourself. But no more, for you truly want to be free and happy. The reading is an accurate and useful view of yourself, seen through the lens of a very unique astrology, one that has been researched and perfected over the course of forty years of constant, sincere development. In this reading, we will see you somewhat as you are. What will the reading provide? It will show you, in a manner that is reasonably clear and inescapable, a simple yet comprehensive view of who you really are, what you really want to do, and what you really can accomplish. The reading will try to bring you to yourself. In so doing, it will tend to pull you out of your cocoon, pointing out the wings on your back that are already beginning to unfold. At the same time, you will see the earthian backdrop to your life, society's view of you and how it wants to use you in its game. This social perspective is what most people follow and obey, thinking it to be their true self. But it is only society's opinion, an opinion that goes nowhere except right back into the common runaround. So it is very useful for you to know this plan, in order to avoid it completely. We will also focus on everything that might be beneficial and useful to your individual growth and freedom — your right relationships, right livelihood, best location, and most efficient path to your happiness. When you order your reading, you may specify how much you want to examine these details. This reading — using an astrology wherein we stand upon the Sun (which means to stand upon the light of your own all-creating mind), while we contemplate the earth as only one of many planets (which is like seeing that the whole world is just one particular dream expressing in myriad, manifold ways) — can awaken you to an unforgettable new attitude and self-image, so that you finally understand that you, alone, are in charge of your life. And rather than squander any more years following somebody else's orders, you have every right to create all the good that you desire. The Universe is a conscious, continually-miraculous, self-eternally-regenerating expression in manyness of the underlying, quiet One. This unperceived One must be the source of all life, and therefore must be infinitely more alive than Life itself. Since it is the source of all virtues, it must be infinitely better than and beyond all such virtues. For example, as modesty is a virtue to us, so must the One have this virtue so infinitely developed that it shyly and eternally hides from sight, letting all of its visible, manifested children take the credit for everything instead. With full faith in the existence of this necessary One, I see its representative symbols when I look out at the universe. For instance, I see the singular Sun beaming light-energy-life down onto the all-receptive planet earth, providing being and sustenance for its infinitely-numbered children. To my mind, the Sun is a reasonable symbol of the One, and the earth is likewise a reasonable symbol of the manifested universe. This tallies well with our experience, as we find it difficult to look at the Sun, and we tend to forget its all-important presence, even as we tend to forget the One itself. Meanwhile, we overvalue the ephemeral multiplicities of the earth, and we focus overmuch on the conventional interpretation of our misunderstood impressions, even as we obsess on Maya, the never-ending trickster-play of life, rather than inquire as to the singular, simple truth. Instead, we should return to the original, ancient way of human life, wherein invention stands upon and transcends tradition, soul stands upon and reaches higher than the body that is its own perfectly self-made physical representation, and the individual comes up out of family, thankful to that family for its infantile and foundational support, but also thankfully going far beyond it. We need to realize that no one will accomplish this but ourselves alone. Meanwhile, society (which necessarily includes our own inherited social egos) can only think according to its own ever-fragmented, insecure compoundedness, and must always and forever push for its own frantic dominion at the expense of the individual — and the individual, understanding society's ignorance, must politely but absolutely decline the invitation. Looked at mathematically, this absolute necessity for the return to valuing individuation is nothing more than acknowledging the truth that, when counting, we must always and forever begin with the number One, and never with the many. In life, as in mathematics, the One is really the only thing there is. In heliocentric astrology, we stand upon the one immediate Sun, and we see from the standpoint of the already-self-sufficient creating intellect. We also watch the planets move against the backdrop of the galaxy, and especially we study the drama unfolding on planet earth, for this is where our bodies are momentarily living, and our belief in these bodies causes us to be concerned for their future. We go on doing the bodily life — we walk down the street and fall in love and accomplish great deeds — but, more and more, we do so while remembering the Sun, remembering the detached, far-seeing mind. Even while still tied to the body, we begin to move into the eternal mind. Up there, where the mind is supreme and the body is minor, conditions are always happy and good. When I listen to people talking about other people, I always realize that each person, limited and defined by his own concepts, is always and forever only talking about himself. Just so, I realize that when I speak of Sun and earth and Universe, I am really talking about myself — I am describing the actual concepts within my mind wherewith I perceive my own mind. Gradually, as I perceive and describe the actual reality of my own mind, I come to understand that that is all we ever know — the mind itself, existing who-knows-where in a world that it, itself, thought into being. This condition — the human mind as the divine, self-illuminating dreamer of its own world — is the true human condition. This is the quiet, detached, intelligent state into which every baby is originally born. The problem is, the divine baby is immediately intercepted by loud and violent adult minds that have been overwhelmingly conditioned to some self-forgetting dogma that convinces them that they are not dreamers at all, but rather that they are some kind of helpless, fully-formed, compulsory robots who must conform to the dogma in order to escape the various terrors threatened by the dogma. Thus does the godlike baby crash down to the earth, believing in and behaving according to ignorance and fear, spending lifetimes doing unnecessary things in order to fulfill someone else's prior misconception. Such is the genesis of the eclipsed, self-unknowing people who invent all of the collectively-popular religions, sciences, ideologies, and nations. These are all inconclusive, irrelevant, earthbound distractions in which the nobility and divinity of the individual soul have been repressed and forgotten. When I read your chart, I see the original baby soul and its gentle little thoughts, and I also see the yelling, yawning earth with its various sophistic dogmas. The purpose of the reading is to speak to and reinforce this soul and to remind that soul of its noble calling. Then again, it is helpful to describe the illusions, games, coercions and tricks of the collective dogma, and thus to even the contest somewhat. Neville said, "Man's faith in God is measured by his confidence in himself." I fully agree with him, and hope to increase your confidence in all that is real and good within yourself, so that you truly rediscover what you knew as a little child — that your true self is utterly intelligent and kind, and your entire life is forever meant to be happy. StarCenter is a repository for the ideas of myself, Robert Tkoch — the expression of a lifelong journey into wonderment, intelligence, and folly. Hopefully, the better part will be expressed here. 1. Philosophy — my preferred area. As I become more and more aware of the immensity and infinitude of the physical, mental, and spiritual cosmoses — that we are sub-infantile thinkers in a virtually-unexplored thought-universe, and that our every here-and-now perception is actually an idea based upon an earlier idea, seen through the lens of an imaginary everyday reality — I have learned that I know almost nothing. But I can at least point to more philosophical natures than my own, and perhaps you will be amazed by them too. 2. Astrology — my interface with the world, and also my livelihood for over forty years. Since I have researched and discovered a lot of material in this field by myself, I feel that I can claim some expertise here, or at least that I have an interesting, self-made bubble to share. 3. Health and well-being, both physical and social — a secondary focus, developed recently. I am a bit fascinated by the idea that our down-to-earth human life can be greatly improved by the practice of a dynamic balancing of all knowable factors, a sort of consciousness-judo on a wobbling skateboard while accomplishing anything under the Sun. I am just a beginner at this, but I can share some useful findings made by others. I will not attempt to always keep everything ordered within the above three categories, for that is not how my brain works. But I thought that you might find it useful to notice these three classes of my thought as they appear and merge and disappear again, like various schools of brightly-colored fish darting around everywhere. This website is in a state of change. It began in 1996 with astrology only, and is now beginning to melt into philosophy. I am not sure where it will go from here, but it is certain to reflect my own evolution. Otherwise there is no real and permanent grandeur. StarCenter Services consist of various types of readings. Each reading is a condensed and efficient impartation of knowledge, intended to accelerate you into a better experience. Your first reading is the primary one, an initial natal analysis of your character and direction, followed later by optional readings for the particular here and now details of your life. For every reading, I use an astrological chart that is heliocentric and sidereal, projected onto a zodiac aligned with galactic center, beginning at your conception, not your birth. This perspective transcends traditional astrology. In a heliocentric chart, the birthtime — while helpful — is not absolutely necessary. Just the birthdate alone will give good results. Each reading will include a general overview, an optimum and efficient plan of action, and a clear description of avoidable errors. Helpful and appropriate literature and movies will sometimes be suggested. The various readings are listed below. For all readings, you may choose the telephone or mono format. The telephone reading allows spontaneous, interactive questions and answers, while the mono reading is for your quiet listening at leisure. All readings are recorded in MP3 format and sent to you. Click on the button for more information and to order. The very first and most important reading, an illumination of your individual self and unique life. 30-minute $75, 60-minute $150. Once you've done the natal reading, your chart will be on file. And then, you may want a helpful followup from time to time. A timely look at your path regarding any particular situation or time, a here-and-now focus on the matter at hand. This is what most of my clients order the most often. 30-minute $75, 60-minute $150. A clear view of any relationship with anyone, provided you know their birthdate or birthdata. 30-minute $75, 60-minute $150. A look around the world, or in any specified area, of what might happen to you there. A useful way to find the best place. 30-minute $125, 60-minute $200. An overview of the next 12 months, according to your specified focus, derived from heliocentric transits to your chart. 30-minute $125, 60-minute $200. An overview of any calendar month, according to your specified focus, derived from heliocentric transits to your chart. 30-minute $125, 60-minute $200. A summary of your personal experience and opportunities over the coming year, beginning on your birthday. This reading is more down-to-earth and worldly than the Personal Yearly Forecast, helpful in a practical way. 30-minute $75, 60-minute $150. A summary of your immediate ups and downs over the coming month. The beginning date is calculated from your natal chart. You can email to ascertain the next starting date, otherwise I will just use the next available future date. This reading is mostly about the emotional and physical elements of your experience. 20 minutes, $50. Answering any particular question, according to the chart of the moment. You can tell me the time, date, and place when the question occurred, or I can use the moment of my seeing your question. 15 minutes, $50. "I saw the best minds of my generation, starving, hysterical, naked..."
It is all about becoming the unique one that you eternally are, and not joining the collective fate of the generations. A meaningful forecast for each calendar year, beginning on January 1, derived from a careful analysis of the heliocentric planetary transits during the annum. The perspective is collective, not individual, describing the changing world background in which you live. This forecast is useful when you want to know, in advance, what the world is thinking and what it will probably do at any time of the year. 50 minutes, $11. A meaningful counterpart for the Yearly Forecast, collective in nature. It doesn't have to do with you directly, but shows you what everybody is thinking and doing, all together as a group. Since it has nothing to do with the individual chart, anyone may order and benefit from it. The monthy forecast will zero in on the changing details of each month, with encouragement or warnings for the ever-changing situation in front of you. When you order a reading, I will speak with you directly, studying your helio chart and translating this study into the terms of your life. Without any need for excessive formalities, we will quickly get to the point. Which point, in all readings, is that you, alone, are in charge of your life. And there is no way around the law, which is — to have a better life, you must be a better person. Since "better person" necessarily also means "wiser person," then it behooves you to acquire this wisdom as quickly and efficiently as you can — whether through your own hard knocks, or by studying great philosophy and literature, or by trusting someone who offers a little sincere help along the way. So you realize that the best investment that you can ever make is to invest in yourself; that is, to invest in the superior and better part of yourself. There is nothing so important as to become a better person, for this will bring a better life in every way. If you acknowledge this, well and good. And then, if you know you are well-intentioned, but there is still a perplexity or a trouble, it is generally because some unknown or unconscious part of your own mind is working against you. The answer, then, is to become more conscious about all this — then to decide what is important, do it, and move on. The reading, then, is simply a way out of an apparent confusion, back to where you know where you stand, and you know what you want to do. The process is a partial reawakening out of the hypnosis of convention, back to your rightful place in your own reasoning mind. There is no magic in any of this, for there is no mysterious magic anywhere in man's self-imagined universe, only the simple law of ideas seeming to come true. And there is no final truth in any of man's little speculations, just thoughts extended into possibility. In the reading, the answers are just an expression of simple common sense — helped by the art of astrology, mixed with a good dose of philosophy, psychology, and history, and administered with friendship and good humor. Nor does it need to be terribly expensive. Some of my clients like to call for a ten-minute update, just to answer a question or two. Others like to go deeply into things for an hour or more. If you formulate your concerns beforehand, we can efficiently answer them in the shortest possible time. A good question. If you find value in a reading with me, it is perhaps because I respectfully get myself out of the way, become a bit transparent, and allow something better than my ego — like possibly a bit of intelligence — to come through. Otherwise — honestly, I am just another kid born in this place about seven decades ago, initially fooling around and later becoming more serious and more self-conscious too. After doing many stupid and unhappy things, I decided that I truly wanted to be happy, then realized that true happiness is a good thing, inseparable from what is universally good; and I therefore learned to look for the good everywhere. I found that the happiest and most liberating livelihood for me was to honestly study consciousness, life, and being in my own attempt at a scientific method, to learn a little about how it all works, and then to share my peculiar discoveries with anyone who wants to listen. I don't think that there are any real experts or authorities or teachers or gurus anywhere on this earth, although there are plenty of people who want to socially appear that way. To my mind, we are all little children, and our wisdom is just a puff of smoke. Nevertheless, it is all that we have — like older kids passing the unfinished baton to younger kids in a relay race on the way to eternity, or perhaps beyond. I am really, really sure of one thing, that the only real guru is God. The Calendar — what if you didn't know where or when you are? Your Concept of Yourself — Who are you? You live on a planet orbiting a star. This is a real fact. The star that you orbit, the Sun, is the immediate light of your physical life, the forgotten illuminator of all your days. Getting to know that star is getting to know your father. You find out that you are made of starlight and electricity, thought and creativity. When you know yourself to be the child of a blessed Star, and behave accordingly, you begin to live a gifted life far better than you ever dreamed. I think that it goes like this — the original fatherhood of God extends itself through the intermediate fatherhood of the universal Soul, then through the fatherhood of the Sun, down to the lower fatherhood of your earthly father. Whether you consider the Sun to be an actual father or simply a symbol of the father, it remains that the Sun is an absolute necessity for life on earth to happen at all. Imagine yourself being the Sun, bursting with love-light in all directions in a continuous explosion of joy that goes on for billions of years. Poised in the middle of Infinity, you love the Universe, you cast forth your light-seed everywhere, eternally in love with beautiful Night, the vacuum void chamber who is mother of us all. A part of your light-seed strikes the planets, the individual photons slam into the waiting molecules of matter, impregnating them, causing them to gestate into life. In a little while a new creature is born, running around in the world and generally forgetting that individual photon at its center. O nobly born — you are the child of a Star, you are radiant with beauty. You are not this body of matter, you are made from intelligence, and goodness, and divine miracles wondrous to behold. Never mind what the earth tells you, never mind what the generations of men (taught by the earth) tell you. You are starlight, you are made from infinite power. You are life, divine and indestructible, existing in sheer Being, suspended in a mystery that goes on forever and ever, world without end. You are beautiful and good, you are decent and loving. This is your real and only self. Then what of that other self, the unhappy one, the one who blames, the one who hates and hurts and makes anger and war? That is no self of yours. That is merely the residue found here, the barely-conscious matter existing in a yawning stupidity, arrogant with the hidden power of incorrigible deception, inhabiting these material worlds and subsisting on the higher beings, that is, living on you! That lower self exists as a personal version of an old program in the collective unconsciousness. Unaware that it is alien, we let it live on us and direct us, being guided by the fact that everyone else is doing the same thing. Until one day, punished with suffering for the results of wrong actions, we begin to wake up. Then we awaken from the dream of earth to the higher dream of the Sun. From wet matter, we emerge as a self-creative fire, child of the Stars, behaving like a Star in a constant creativity, projecting warmth, and light, and eternal reassurance that all is well. As this mental and spiritual shift takes place, we forget the old perspectives and adopt higher views. We stop being centered on the earth. The earth is merely the receptive satellite of a higher and better life, the Sun. Likewise, the ego is merely the satellite of the soul, who sits quietly at the center, beaming forth love-light forever. And just as people are so caught up with the daily nonsense of the earth that they rarely realize that the Sun is the main thing here, so they forget the fact that the soul is the origin of everything that they are and experience. As man grows, his sciences grow, his philosophies grow, everything expands to meet his measure. So must astrology grow, to encompass man's new discoveries and lend them meaning. Thus, this new astrology has come into being. It is heliocentric, that is, Sun-centered. It is galactic, that is, referring the zodiac to the center of our Galaxy. And it looks at the moment of conception, not the moment of birth, for conception is the true beginning of our career here on this plane. At the same time, this astrology is ancient, old as the stars, inspired by the wisdom found in Homer, in Plato, and in Plotinus. True astrology is a holy science, dealing with man's speculation about his life and destiny, his attempt to refer his experience to the universe which he perceives. Such a science deserves respect by all who view it without prejudice. Look at the picture above. 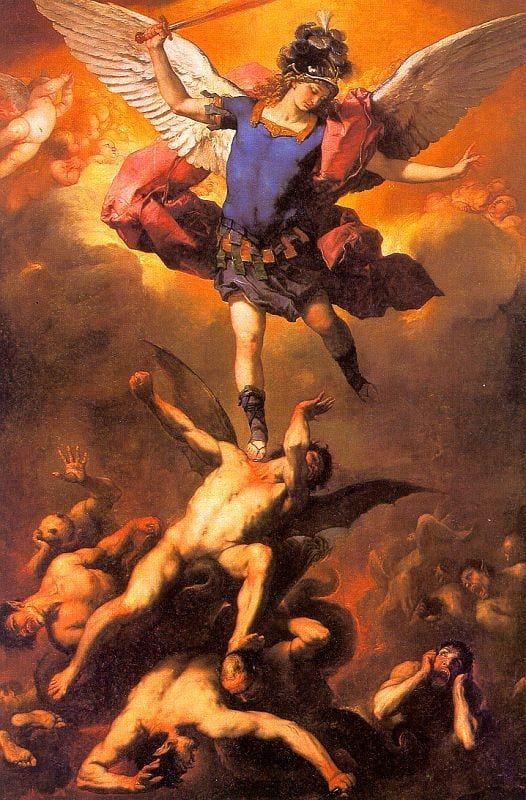 It is a painting by Luca Giordano, entitled, "The Archangel Michael Flinging the Rebel Angels Into the Abyss." Study this painting well, for it accurately illustrates the nature of Integrity. The demons are the unconscious world — chaotic, evil, howling with their self-inflicted disorder. But Michael is yourself, forever above the worldly tumult, wielding the sword of clarity to keep the chaos down. Integrating yourself with your origin, you find integrity. Going back to the bedrock of your being, you finally stop denying what you are. This morning-of-creation true-ness, this only-ness of being the truth that you cannot help being — this is integrity. What? Did you think that you would shine with some other light than the one that is good? Did you imagine that it might be cool to be clever and evil? Perhaps you should reconsider these beliefs. The world teaches equality and forbearance toward everything. It suggests that everyone should have an equal vote. It calls this system of thought, "democracy." But the necessary outcome of everything being equal is that evil will be equal with good, that evil people will have equal power with good people, and that evil's contemptible weakness will have artificial help to overcome the natural strength of righteousness. And this is exactly what evil wants. So it taught you to throw away your aristocratic power, and to grovel in the dust as a democratic worm. Consider the gentleness, beauty, and power of Giordano's St. Michael. So should your self be. Not so, you say? You think that you are not very beautiful? You believe that others are better than yourself? You say that you cannot possibly battle all the world, that you are not adequate to the task? Consider carefully, O Child of Wisdom and Might, O Wanderer from the Realms of Intelligence. Not only are you capable of being the strong arm of goodness itself, you are required to do so. Because — deep down — in your heart of hearts where no one else ever sees — you know that anything else is unhappy. Being less than beautiful is — well, ugly. And no one wants to be that. Except for demons. Demons are beings who have fallen into ugliness, into meanness and weakness and every vice. Not only that, but they desire to do so. Not only that, but they are proud of their weakness. In addition, they think it is cute to walk down the street, giggling, letting everyone hear how powerful they are in their group profanity. Does this sound like someone you know? Your neighbor, perhaps? Someone closer? Somebody right at hand? This, indeed, is the problem. And this realization, indeed, is the solution — there is no truth but truth, and courage is his prophet. There is no nobility but the one chosen as an act of free will, simply for the sheer beauty of it. There is no advantage in anything, for all things dissolve again into the dream. But the quality of your life, the beauty of your actions, the nobility of your good and magnanimous heart — these alone remain, for they are immortal, mirroring the eternal beauty on the level of your life. These are the substance of integrity. How do you begin? Know thyself, O wandering one. Be serious about your life. End your involvements with evil people. Make new friendships with those who are noble and good. Cultivate your virtue, expand your mind, keep company with the authors of great literature. Live honestly all your days. Seek to become your true and only self. 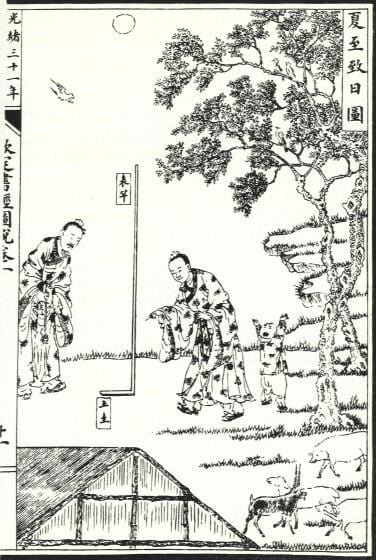 In ancient China, any astrologer who failed to uphold the true calendar was immediately executed. Mankind lives inside of time. He builds empires and sciences as the years go by. His every breath is bound up with the natural cycles of his years. Consider your own breath. Watch and listen as your breath goes in and out. It is always doing that, and it is essential. If you interrupt your breathing for too long, your body will cease to live. Likewise with the year. Its pulsating cycles are fundamental to your life. Go against those cycles, and you miss your own natural rhythm. Forget the poetry of the seasons, and you forget life's poetry in general. Instead, you take your place with the ant-people who toil without ceasing in their eternal twilight. Your tendency to breathe naturally is the same as your tendency to flow in perfect tune with the earth's changing seasons. When you flow with these seasons, you live as a poet lives. You live like a lover who sees his beloved's smile in every sunrise, while every bird that flies above is a gentle thought from her mind. When you know the seasons and live accordingly, you become aware that every passing year is a delightfully long, passing breath, something done harmoniously, without particular stress or unnecessary effort. Every blessed year becomes a fascinating story, even as every breath is a little gift of life. But what if you lived under the dictatorship of some totalitarian hooligan who shouted to you, all day long, to "Now! Breathe in! Now! Breathe out! Not like that! Like this! Quickly! Do what I tell you! Breathe in! Breathe out!" and so on? What if your every breath was not allowed to flow naturally, but must obey some insane other schedule? That would be uncomfortable and chaotic, would it not? If it went on and on, it would lead to all sorts of unnatural things, to a painful existence whose meaning was difficult to comprehend. But this is precisely the situation with the present Western calendar. People live by this calendar, and they say it is New Year when January 1 rolls around. But January 1 has nothing to do with any natural cycle, and is merely a conventional date that a Roman emperor declared to be New Year. Starting your year-long breath on January 1 is to fall, every year, flat on your face. For while you are breathing from January to January, the natural year is breathing by a different schedule. And thus do you miss every accord with Nature that you might have achieved. Since you are a part of Nature, to be out of accord with Nature is to be out of accord with yourself. And thus do you fight yourself all year long. To begin every year at the time of coldness and sleep is to continually drudge through the year. And thus does society keep to its unlively ways. Thus is mankind, a mental organism dependent upon right ideas, enslaved by one error after another, so that — out of tune, unhappy, and stumbling along — he can be more easily manipulated by those who made the wrong calendar in the first place. Alternatively, some cultures celebrate New Year at the Spring Equinox, around March 20. But this is not the beginning of Spring. Rather, it is the midpoint of Spring, the maximum-point of the Spring season. To celebrate Spring's beginning on March 20 is to always be too late. And thus does it produce a human culture that is already "too late," one that goes nowhere, an anachronism of the past, repeating old habits in a twilit realm without progress or hope. So what is to be done? Live rightly, or righteously. When it comes to the year, live according to the natural year. How do you find the natural year? Very simply. The moment when the Sun is lowest, i.e., the Winter Solstice. The moment when the Sun is highest, i.e., the Summer Solstice. The moment when the Sun is midway between the highest and lowest, i.e., the Autumn Equinox. The moment when the Sun is midway between the lowest and the highest, i.e., the Spring Equinox. We think of Summer as the time of maximum light. Winter is the time of minimum light. If there are four seasons, each season will last about three months. Then Winter will be the season around the Winter Solstice. The most winterish time will be the Solstice itself, the maximum-point and midpoint of the Winter season. Winter will be a three-month span whose midpoint is the Winter Solstice. During this three-month period, the Sun will apparently traverse a 90-degree segment of the zodiac. For people living in the Northern Hemisphere, the Winter season will therefore begin when the Sun reaches 15 degrees of the sign Scorpio. The peak of Winter will occur when the Sun reaches 0 degrees of the sign Capricorn. And Winter will end when the Sun reaches 15 degrees of the sign Aquarius. From 15 Scorpio to 15 Aquarius is a span of 90 degrees. Winter begins: 15 Scorpio (Nov. 7). Middle of Winter: 0 Capricorn (Dec. 21). Spring begins: 15 Aquarius (Feb. 4). Middle of Spring: 0 Aries (Mar. 20). Summer begins: 15 Taurus (May 5). Middle of Summer: 0 Cancer (June 21). Autumn begins: 15 Leo (Aug. 7). Middle of Autumn: 0 Libra (Sept. 22). For people living in the Southern Hemisphere, the seasons are, of course, reversed. Summer begins around Nov. 7, Autumn begins around Feb. 4, etc. But the basic astronomical ideas are the same. This is the true solar calendar known by the ancients. This extremely simple knowledge has remained largely hidden, simply because mankind is so crazy with the momentum of his own self-importance that he never even looks around to see what season it really is. In addition, the ancients also made a lunar calendar to complement the solar one, even as the female complements the male. They enacted that each new season should be celebrated at the first New Moon in that season's sign. Thus, since the solar Spring begins when the Sun reaches the midpoint of Aquarius, the lunar Spring will begin at the first New Moon after the Sun enters Aquarius. The solar is more male, the lunar is more female. In the ancient times, both were celebrated. But the solar was more authoritative, mental, and orderly, while the lunar was more emotional, festive and sensational. In general, the intellectuals and the nobility would prefer the solar calendar, while the common people would prefer the lunar. But both are important. Knowing the true seasons, you begin to know the natural cycle on earth. Knowing these, you do the right things at the right time. When everything in your life is done this way, all your days will prosper. That is why it is so important to be in perfect tune with the seasons. And to be in tune, you must know when the seasons begin. This knowledge is the duty of the astrologer to provide. And since the matter is extremely important, that is why — in the times of old — any astrologer who did not provide this knowledge, faithfully and accurately, was to be immediately executed. And even though we, living in this banal and democratic age, may not be executed for our ignorance, yet it is still just as important to obey the ancient laws. And thus is it imperative to provide this true information. Spring: February 3, 2019, 3:05 UT (Solar New Year). Summer: May 5, 2019, 18:49 UT. Autumn: August 7, 2019, 19:02 UT. Winter: November 7, 2019, 17:10 UT. For those living in the Southern Hemisphere, the seasons are, of course, reversed. Autumn begins on February 3, Winter begins on May 5, Spring begins on August 7, and Summer begins on November 7. So what does all of this mean to you? In general, it means that you have been living inside of a social organism that is hopelessly misguided with regard to the natural world, and that you have handicapped yourself considerably by going along with its destructive conventional ideas. But it also means that you — a unique human being with an original mind — can utilize your own divine knowledge and free will to separate from that social organism and its socially self-congratulating ways, instead inventing new life where you can, while you obey ancient laws where that is proper. It means that if you plan your yearly cycle in accord with Nature, you will live in harmony with Nature. You will flow in tune with the seasons, and all that you do will prosper. Whereas, if you imitate the nations, you will live arbitrarily and conventionally, ignoring the Universe to your own peril. Think back to other years, and consider what was happening around February 3 or 4. Remember the little signs, the new promptings that pointed toward new experience. 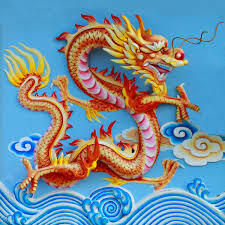 Realize that the solar and lunar new years have always been two aspects of each year's true beginning. Thus armed with real knowledge and the certainty born of experience, you may choose to begin anew at every true New Year, knowing that your efforts will all bear fruit in a little while. A new astrology has been discovered. As the Hubble telescope gave us mind-expanding glimpses of our universe, there has quietly emerged a new conceptual way of looking at that universe. Paralleling advances in the various sciences, a new idea has begun to replace the old. The old astrological system — the popular geocentric art that reached its high point during the Middle Ages — adequately described an old and perennial way of life. Its grounded, earth-centered point of view was good enough for our ancestors in their apparent reality — but it is no longer very useful. Seeing, as we do, that the earth is not the center of everything, changes everything. We apparently are a people — on a planet, orbiting a star, inside a galaxy, amongst countless galaxies like grains of sand. After a long history of living provincially and barbarically on planet earth, we now become aware of the infinite universe, and we are about to launch forth into that universe, quickly becoming intelligent birds of space that go on and on into the void. Humanity is so amazed and frightened at this confrontation that it has reacted in shock and denial, and is trying to retreat and fall back to the past — hurriedly and forgetfully denying the new opportunity and staunchly attempting to carry on as usual with outmoded ways. However, the time for change has come — and we, reluctant or not, are definitely on our way to Infinity. Since every human being's life is already intermixed with the life of his planet, the life of his star, and the life of his galaxy, it is only natural to step from earth into space into universe and beyond, for all this is where we find ourselves being, and we might as well go out and see what there is to learn. Instead of waiting until scientists get around to proving that the universe is totally conscious and alive, we might as well affirm it now, and say, "As above, so below; we are a part of this divine cosmos. Let us behave accordingly." And while preparing for the stars, yet we still live solidly on earth. Any true theory must also prove itself supremely practical, providing help where it is needed — in our everyday lives, in growing as human beings, in understanding our relationships, in making a decent living. A true science helps us to dream great dreams, but it also takes care of the very real down-to-earth necessities which we all require. This astrology has been researched experimentally. Its findings have been slowly extracted from actual studies of history, historical personages, and present lives. It is built upon theory that matches the latest scientific discoveries, and then it is backed up with repeatable scientific proof. A higher point of view leads to a higher life. Looking at your galactic chart of conception, we can see a bit of the high life that you may live — if you choose to live nobly and become high. We also can see the lower life, the common collective life that you might join — if you follow the crowd and give up. Both ways of life, the higher and the lower, are clearly visible in the chart. By studying and understanding this chart, you are studying and understanding a higher view of yourself, with the result that you learn how to skillfully avoid the traps while you gladly reach for what is useful and happy. Your self-image is an immediate and modifying cause of everything that happens to you. If you truly believe that you are noble, you will live a noble life. If you think like a beggar, you will live accordingly. Nothing is so important to you as the concept you hold of yourself. All that you experience — the touch of your Beloved's hand, the sight of sunrise, your feeling as you look into the mirror, the sound of a distant bird on a clear Autumn day — everything, all of it, is colored by your basic idea, your semi-conscious world view, your centrally-dwelling concept of yourself. This concept, though you may ignore it, is the lens through which all else comes. Ideally, this concept has grown from your honest self-appraisal looking accurately at your one and only lone, original soul, the original essence at the center and core and beginning of your self. Ideally, your self-concept is the courageous and truthful recognition of what you really are, learned from a lifetime of utterly honest encounters with the Universe, coupled with an uncompromising integrity which forever looks, with absolute gentleness and modesty, only to that which is best for every answer. "O nobly born! The essence of yourself is actually divine, forgetful now in your sojourn here. In your own simple self is all the wealth of Solomon, all the power of a thunderstorm, all the joy that anyone could ever want. Do not seek these things from the world, for the world is only an outpicturing of your own idea. And if your idea includes an inward lack, then your worldly experience will also lack, and poverty — of purse, of health, of life — will result. No, first turn away from the world, and come to know the nobility of what you really are. After that, you may turn back to the world again, and your experience will then be harmonious and happy." We should all learn our self-image by ourselves, experimenting alone, helpfully guided by wise elders who teach us a little and generally allow us to learn for ourselves. But unfortunately, most people are afraid to be self-reliant, afraid to take a chance on their own good luck, instead preferring to learn their self-image from the eternal ignorance of their families, their society, their peers. They forget to think for themselves, and they wind up living in absurd, old, inappropriate, outdated identities and patterns that are hopelessly unhappy. And thus is created the general human condition, where you probably find yourself now. The most important thing that you have — your self-created concept of yourself — has been almost entirely neglected, while someone else's common definition of you has come into your mind and governed you all these years. Thus do you live without discovery and joy, for the very foundation of your mind is not your own. In this mediocre state, you tend to simply go on and on, at a loss to discover something new. But all that can be changed. You can discover a concept of yourself that is true, appropriate, and strong, one that makes you come alive when you first hear it, that causes you to remember how wonderful you felt all those times when you had hope in your heart—when you fell in love, traveled to new lands, conquered a great problem, escaped death, or just realized how great it is to be alive. You can start all over again, and this time you can take charge of your destiny yourself. I have been reading star-charts for over forty years, and it never changes — so many people expect to find permanent final answers, asking to be told who they are, what they should do, when they are going to get lucky. But all I can do is read what the chart says exactly, to point out the essence and core of themselves, the real self with its definite goals and interests — and then remind them that all of the millions of stars in the heavens above are a poem, a song, a psychodramatic mystery all saying the same thing — that every star is an ever-living fire, wild and alive in the void, poised in a mystery endless and divine — and every man and woman are exactly the same as every star. Each star has a right to exist and to create what it deems best, and so do you. Your concept of yourself — all along, it was the springboard to your life, the launching-point for every successful journey. Give birth to your own original idea, and you will live an original — and probably happy — life. Or go along with society's definition of yourself, and you will probably exist only in a quiet despair, standing alongside millions of others who learned their self-image from the same exact source. Thus does it always come down to the same simple thing — your destiny is in your own hands, and it will lead exactly and only where your concept of yourself must eventually go. And thus, it might be a very good idea to look at this concept in depth. from S.S. in Palisades, NY: " Thank you for the insightful readings. You were incredibly precise regarding the question of career for me, and your advice shall be heeded." from A.B. in Spring Valley, CA: " Your reading for me was clock-stopping ON TARGET! ...Enclosed is a check for four readings for friends..."
from N.M. in Studio City, CA: " The reading you gave me, via cassette, has helped me more and affected me more deeply, than all the readings, consultations, and therapy I've ever had. I've listened to it several times already—even when I went back in my journals, you were so accurate." from D.A. in Bothell, WA: " Thank you for sending the tape. Absolutely fascinating listening! I have never quite known how to characterize myself, and to hear it coming from a source outside of me is like Alice looking through the glass—a sort of curiouser and curiouser." from D.M.in Phoenix, AZ: "Thank you for a most powerful and guiding reading of my most interesting times. It's all happening or coming into being as you describe, and I'm grateful for your careful mappings ." from F.A. in Dharamsala, India: "...I left in a flurry of excitement. It is a great gift and joy that you are here on planet Earth. Your advice is really helping me sort things and make decisions, especially because of the consciousness and confidence you show in what is true in value...I am very happy to meet you! from D.L. in Woodland Hills, CA: " Thank you for your enlightening and sincere astrology readings. I have felt moved ever since. I feel myself buzzing with it—at a different frequency—or deeper awareness, and a memory of something more. It meant a lot to me." from S.C. in Kuna, HI: "Thank you, thank you, thank you for the tape, and your wisdom words, and thoughts!...I take your tape with me, listen as I walk, and each time I learn a little more, and a little more, —and a little more! You are a beautiful, caring, wise man. Again, thank you! from M.M. in Sausalito CA: "Thank you. You are a Star." from I.S. in Washington DC: "Robert's readings are profound, poetic, and astonishingly precise. His approach far exceeds traditional astrology and is informed by a wide knowledge of physics, history, literature, philosophy, psychology, art, and Western and Eastern religion. His works are full of insight, intelligence and inspiration, and have wisdom that are not often found in this or indeed any other profession. I recommend Robert's readings as a way to short-circuit traditional astrology and psychology and get the answers precise and direct. I also recommend looking at the rest of the site for information and inspiration." from C.C in Bloomington, IN: "For more than a decade Robert has been my personal astrologer--for good reason. It's hard to sum up his talent, as his wisdom and knowledge demonstrate years of study across numerous disciplines. His uncanny ability to help you really understand yourself and accurate prediction of life events are truly astonishing, even for skeptics. You constantly find yourself wondering "how could he know this?" because his preciseness and psychic abilities are consistent with each reading. Robert's guidance is extremely valuable to me and I recommend him highly." (These are excerpts from a few of many letters sent in gratitude for personal readings using heliocentric astrology). Feel free to call anytime 24/7/365, but likeliest hours are 10 AM to 10 PM Pacific time. If you prefer, I can call you right back. The current wait time for Monologue readings is approximately three days. Copyright StarCenter, Robert Tkoch 1996-. All rights reserved. Previous iterations of StarCenter by Robert Tkoch were: 1973 Galactic Embassy; 1976 Uranus Rising; 1982 Astrologos; 1991 Astrology by Robert Tkoch; 1996 StarCenter. These were all the same basic thing.